Located just south of San Francisco Bay in the heart of Silicon Valley, San Jose has grown to become northern California's largest city. The city's population in 2010 was 945,000, exceeding San Francisco's population by about 140,000. Like most large California cities, San Jose has a diverse population: 43% are white, 32% are Asian, and 3% are African-American. 33% of San Jose's residents identify as Hispanic or latino. 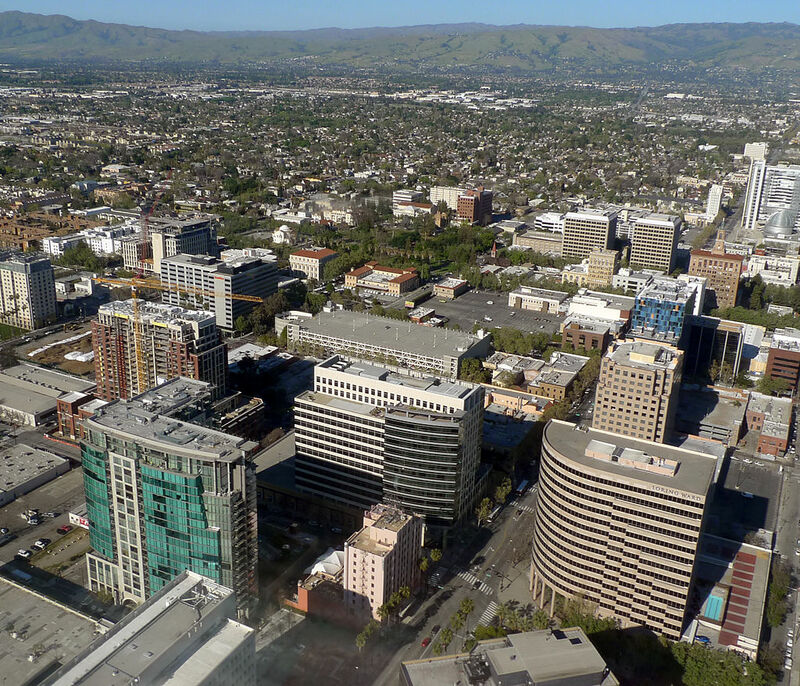 As would be expected for the central city of the Silicon Valley, San Jose enjoys considerable wealth, but it also has a large low-income population. Although not as strong as neighboring Oakland or San Francisco in terms of traditional community wealth building strategies such as cooperatives and community development corporations, San Jose has a wide range of community wealth building institutions and policies. San Jose-based Lenders for Community Development is one of California's leading community development financial institutions, the Valley Transportation Agency has actively pursued transit oriented development, and the city has also developed policies to provide affordable housing for teachers and green building codes (www.sanjoseca.gov/esd/natural-energy-resources/gb-policy.htm). San Jose Water is owned and operated by the City of San Jose and is entirely self-supporting. It was created in 1961 when the City purchased the Evergreen Water Company to ensure that the rapidly growing Evergreen community would have a reliable source of water. Today, the company serves about 100,000 people in four city neighborhoods: North San Jose/Alviso, Evergreen, Edenvale and Coyote. HOPE Services provides job training programs, developmental activities, counseling, infant services, senior services, supported and independent living services, and mobility training for approximately 2,500 children, adults and seniors. The half dozen businesses it runs provide employment for its clients and yielded over $7 million in FY 2011, close to 20 percent of total revenues. Its Production Services enterprise is the largest of these with 10 facilities and some 700 workers who assemble, pack, store, and ship material for area businesses.